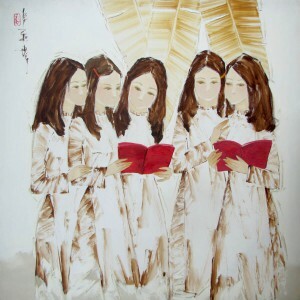 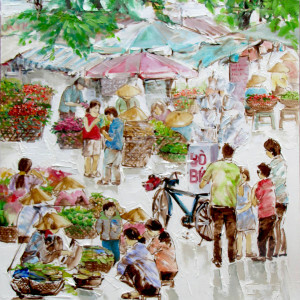 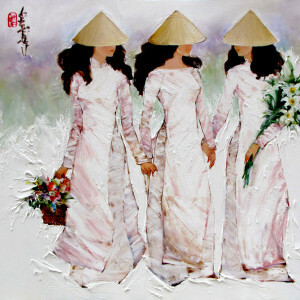 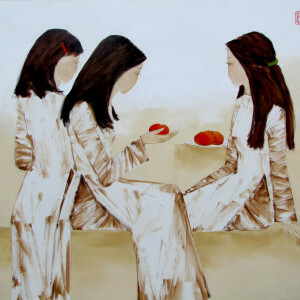 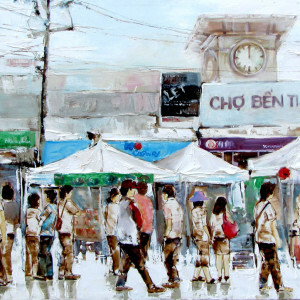 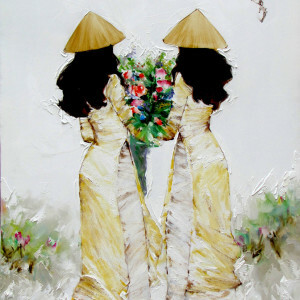 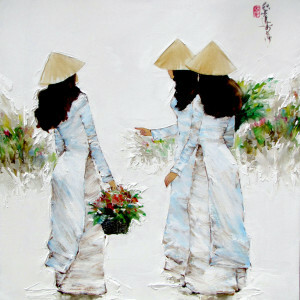 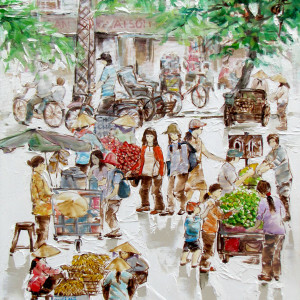 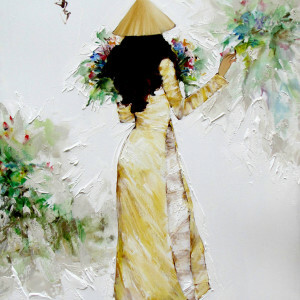 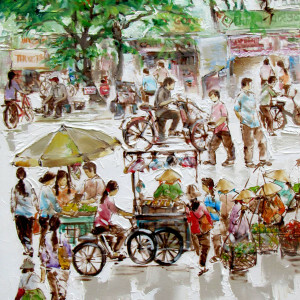 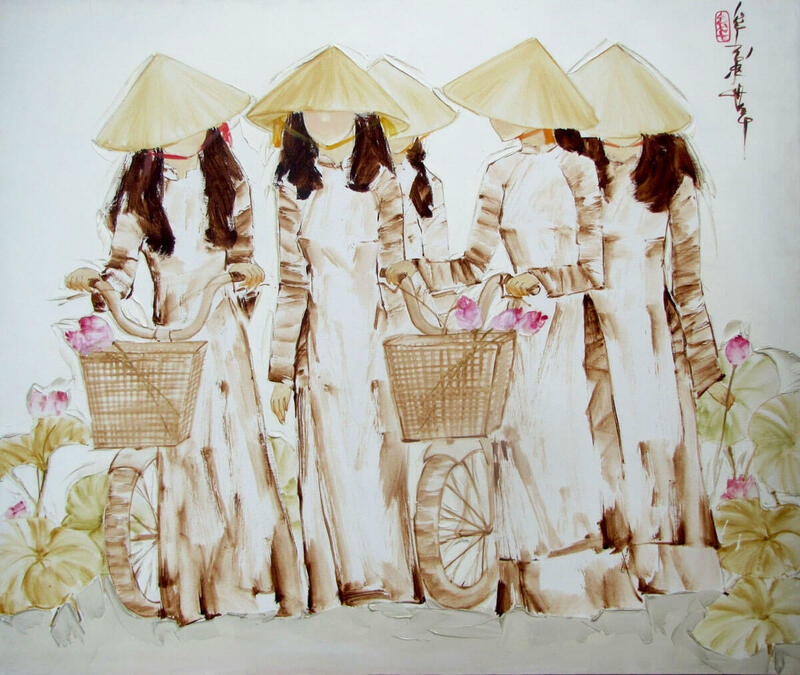 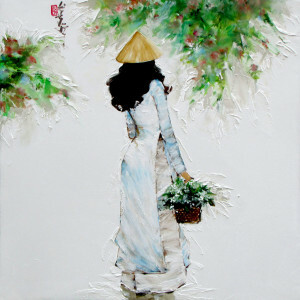 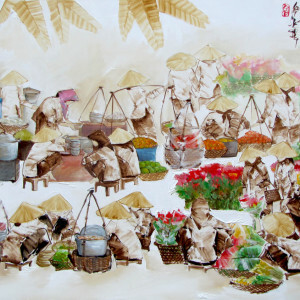 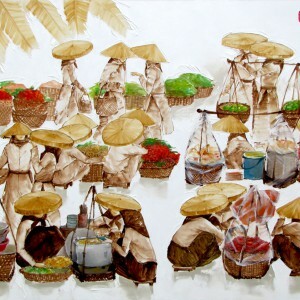 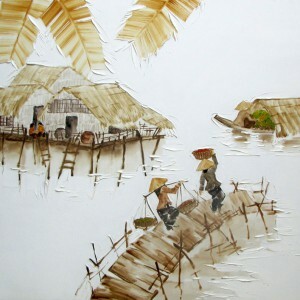 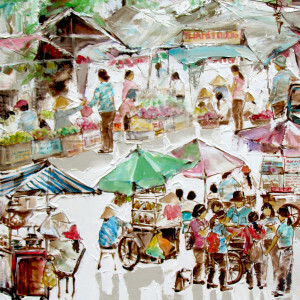 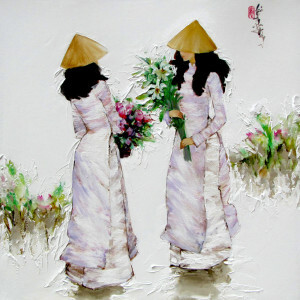 Contemporary Asian artist Luong Dung showcases the dynamism of youth by painting a group of schoolgirls in traditional Vietnamese dresses on bicycles. 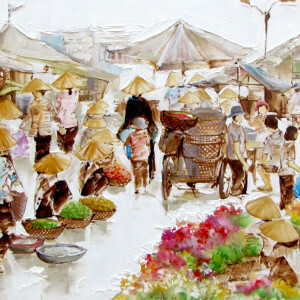 The artist adheres to his typical brown gamma, accented with lilac to depict lotus in in the bicycle baskets. 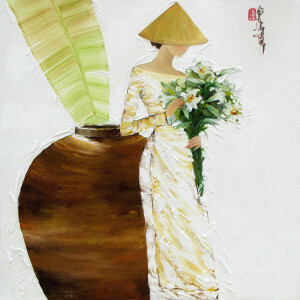 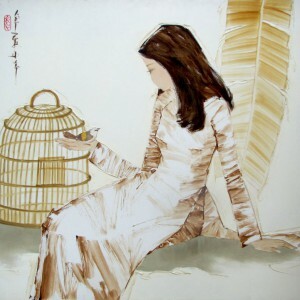 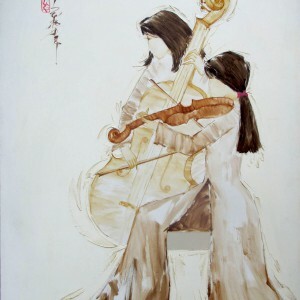 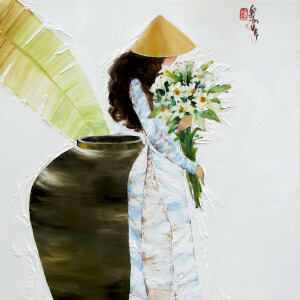 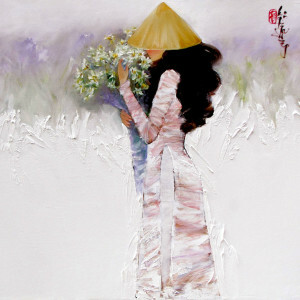 The feminine silhouettes of the women portrayed in their flowing make the piece aesthetically appealing.